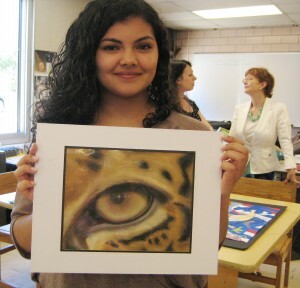 Morris Arts would like to thank the Foundation and its Board of Directors for choosing to fund this Program in honor of the late Lauren Failla, an artist and a former graduate of Morristown High School. 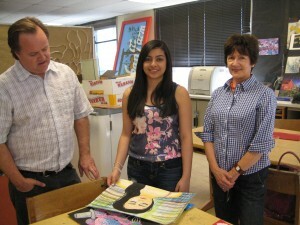 Morris Arts’ Artist/Student Mentoring Program was the brainchild of Mira Morrison from the Morristown High School Art program. 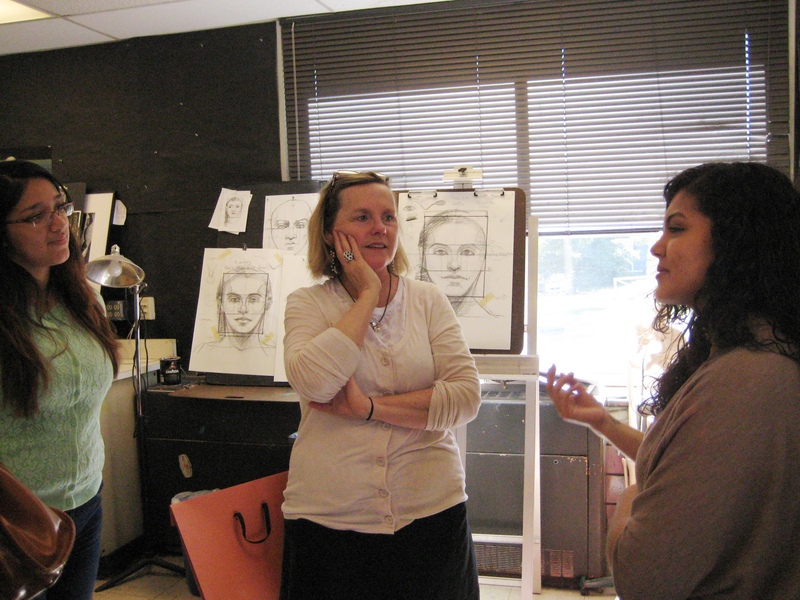 Ms. Morrison approached Morris Arts several years ago with the idea and has worked closely with Kadie Dempsey, Morris Arts’ Program manager, to define and shape the program. 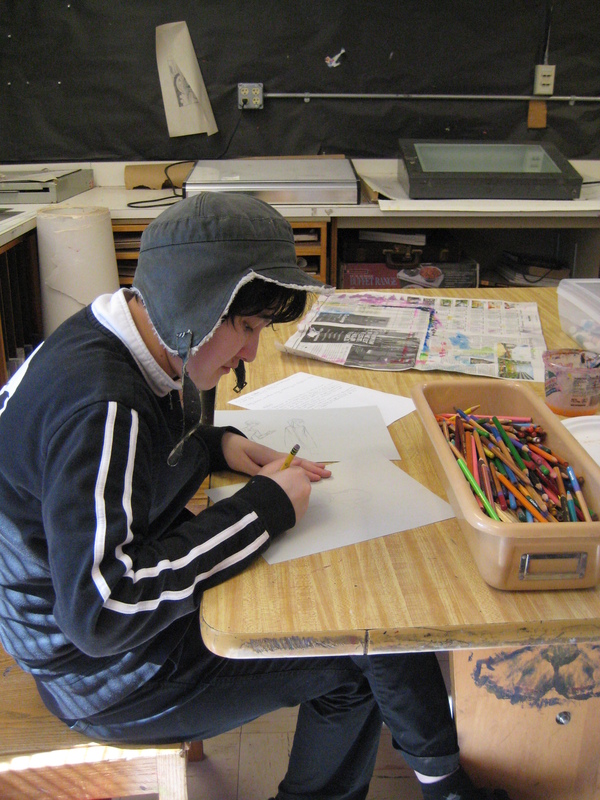 Originally funded by The Geraldine R. Dodge Foundation, Morris Arts’ Artist/Student Mentoring Program assists selected, highly talented art students who needed additional support in refining their artistic skills, developing their own personal style and assembling a strong art portfolio, that, in turn, will enhance their ability to compete for admission into quality art schools, college, a career in visual arts and/or scholarship aid. Two professional artists meet with the students for 12 weeks in the Winter/Spring semester and 12 weeks in the Fall semester. 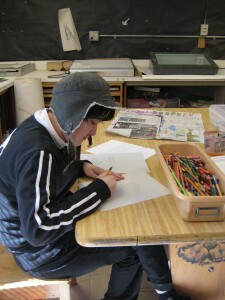 Additionally, the students receive instruction in Art History, Life Drawing, Still Life Drawing and Computer Arts. 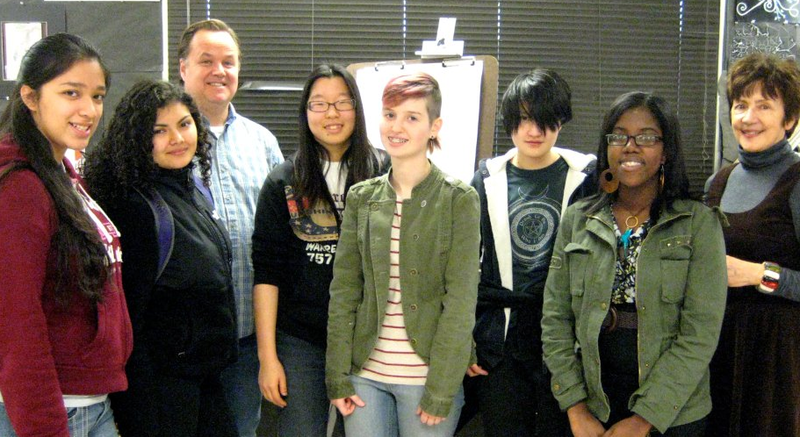 Graduates of this program have been highly successful in meeting their career goals. 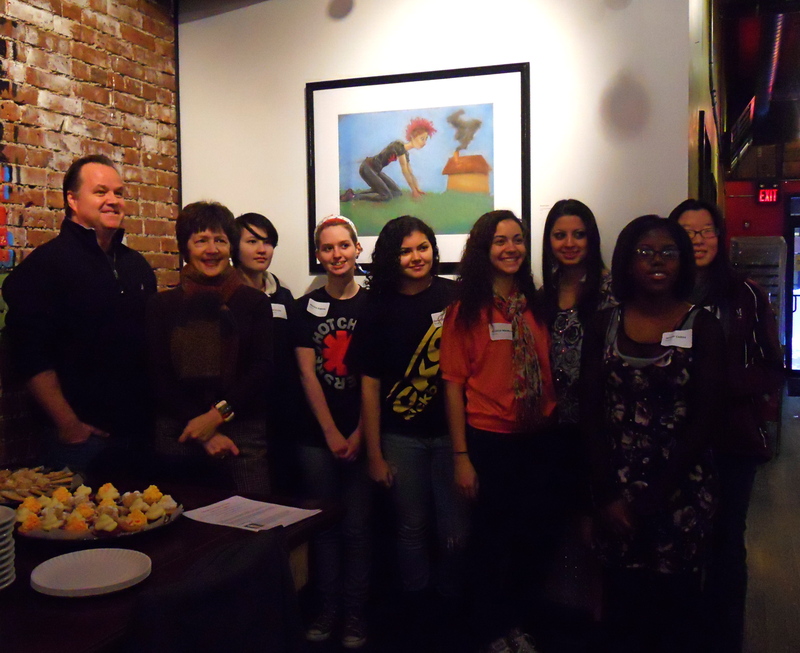 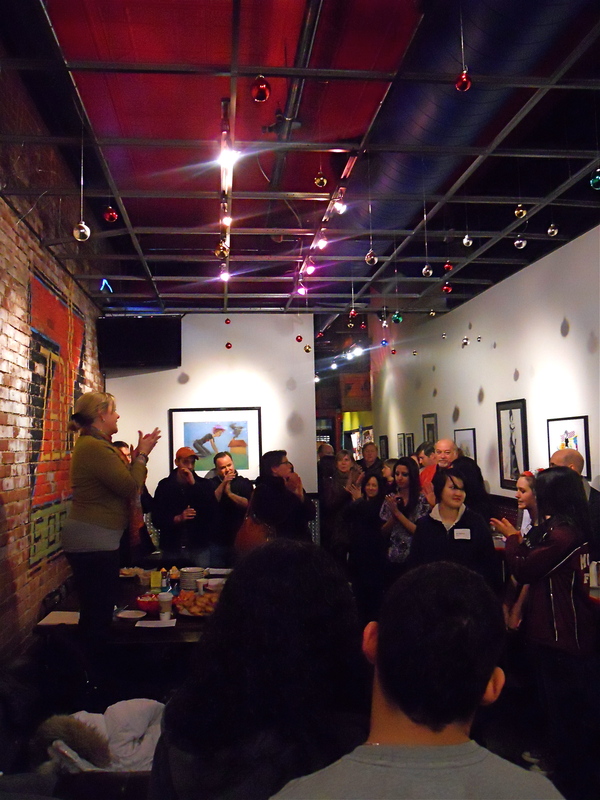 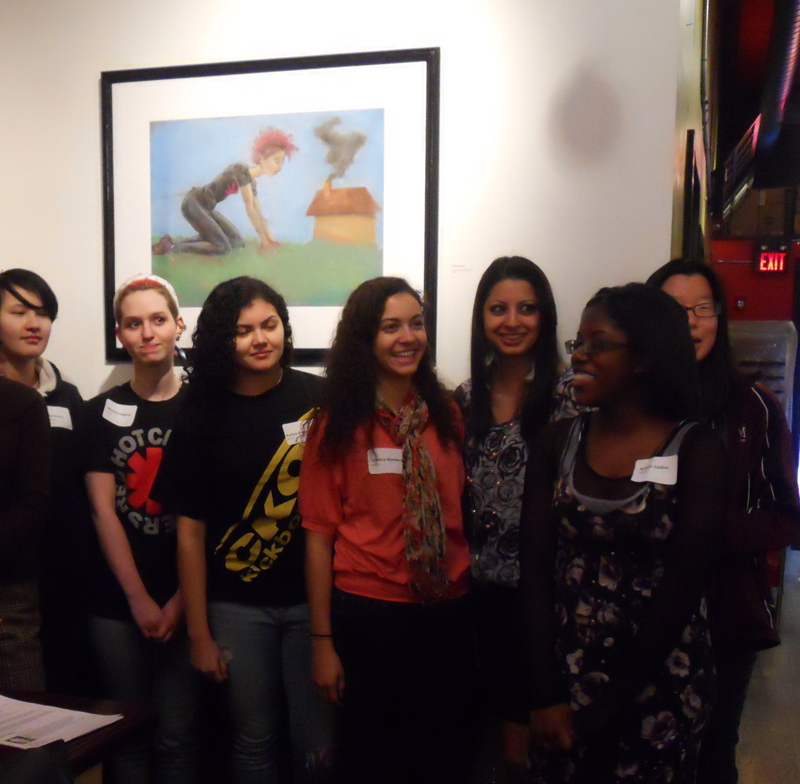 Students participating in the 2011-2012 Mentoring Program at Morristown High School displayed their art work at Zebu Forno in Morristown. 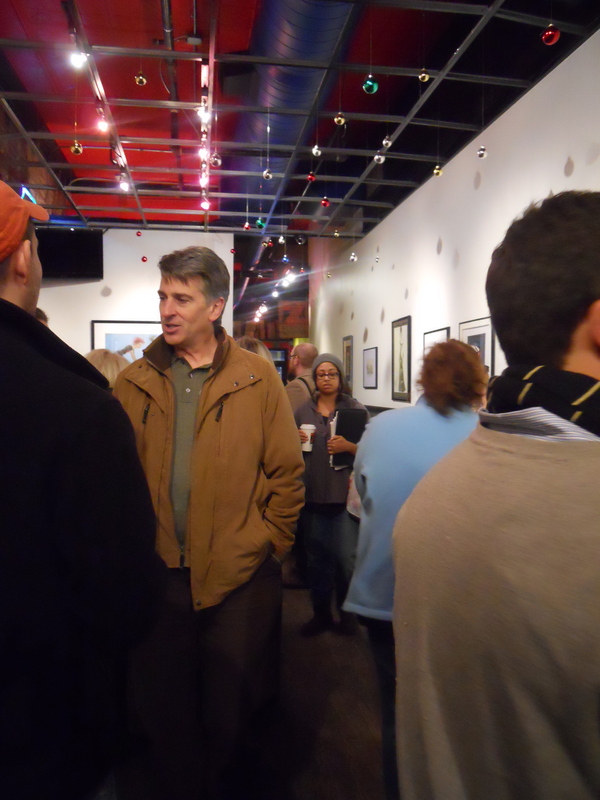 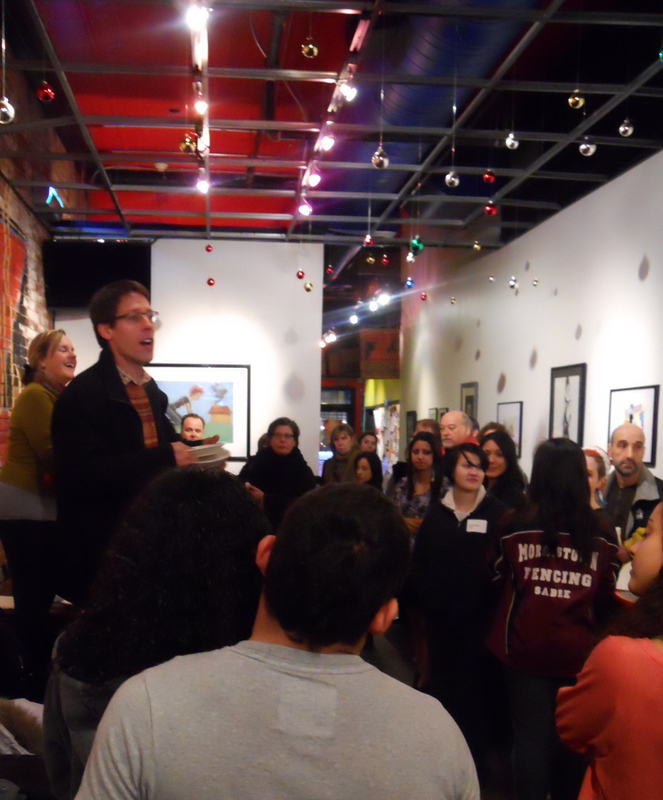 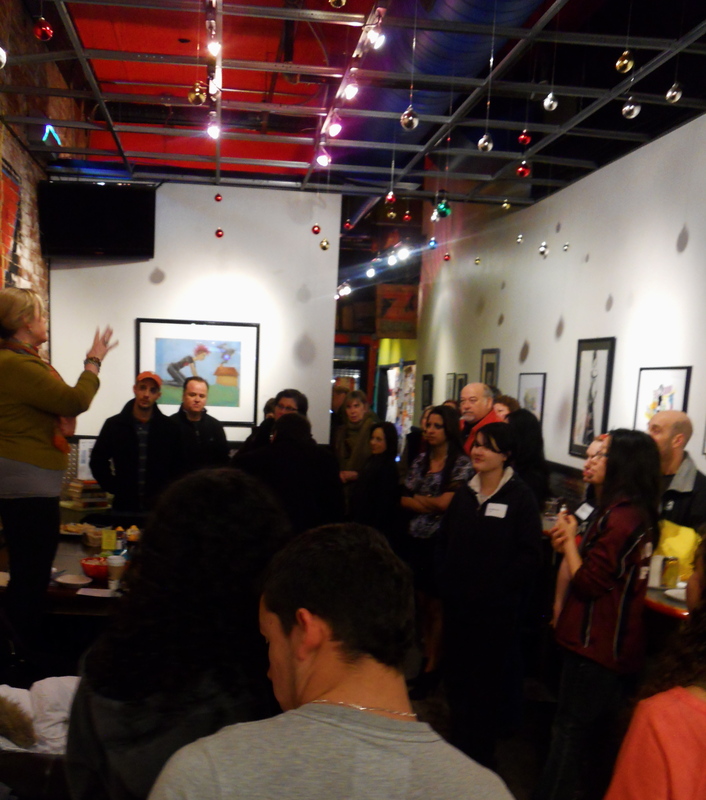 The opening reception took place on Sunday January 22 and works were on display until February 12, 2012. 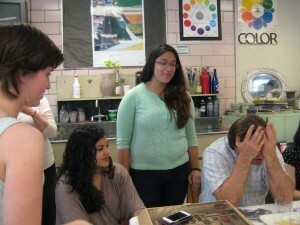 The show was covered in local media by Morristown Green and Morristown Patch. 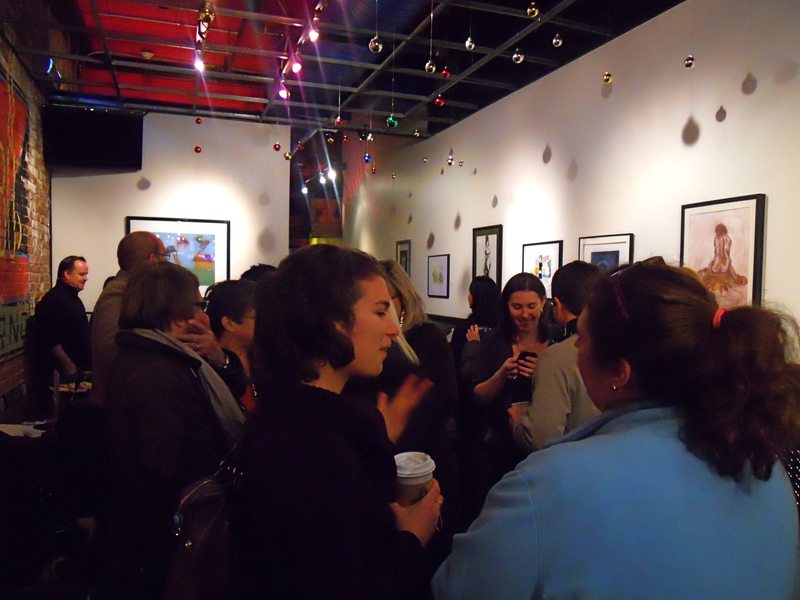 Images from the opening reception below. 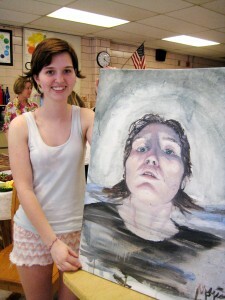 It is through the generosity of the Lauren Elizabeth Failla Foundation that Morris Arts presents this program. 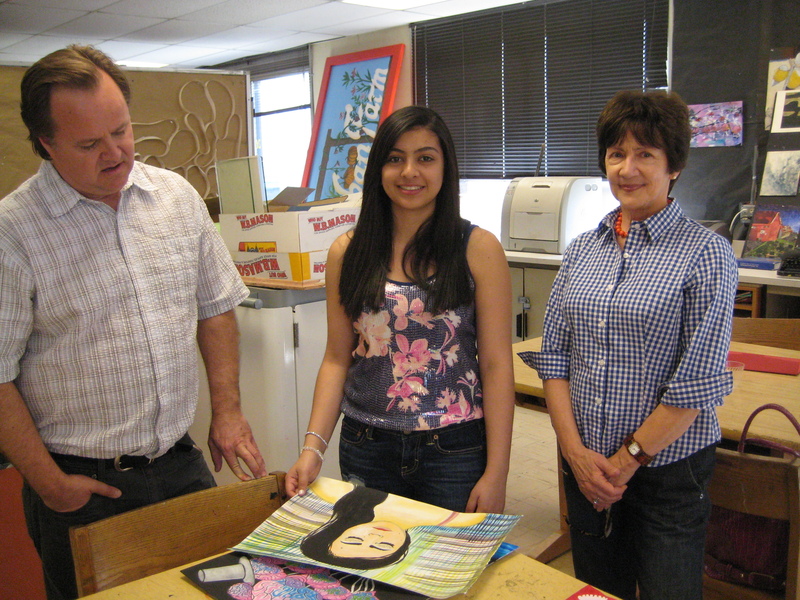 Penpitcha Pimonekaksorn (aka “Dream”) who is returning to Thailand and, in four months, will be going to college there at Mahidol University of Science. L-R: Katrina Cabrera with her favorite work (a jaguar’s eye); Adam Merrigan with one of his works; “Dream” Panpitcha Pimonekaksorn displays her certificate with mentor Dan Fenelon; Monica Argenio with her painting.